A High Elf player has 500 gc to make his warband. Any remaining gold coins may be saved to purchase items from the normal price chart after the warbands first game. 1-2 Corruption: The elves have been sent to stop the taint of wyrdstone on the streets of Mordheim. Each game, search for wyrdstone like a normal warband, Any wyrdstone found is automatically destroyed. When the warband destroys 100 Wyrdstone, the warband returns home to Ulthuan and is disbanded. 3-4 Proving Grounds: The warband has been sent so that the Elven Mage can prove himself and complete his training. Once the mage has accumulated 30 experience points, or if the mage dies, the warband returns home to Ulthuan and is disbanded. 5-6 Death: The Warband has been sent to bring destruction to the villians of Mordheim. Each member of the warband, (excluding the war lion), is duty bound to kill atleast one enemy Hero. Once all living members of a High Elf warband have killed an enemy Hero, the warband returns home to Ulthuan and is disbanded. A Dying Race: Elves are a rare sight in the Old World, as such, there aren't many chances for a warband to recruit! After warband creation, no new models may be purchased or replaced. From Riches to Rags: As High Elves will always destroy any shards of wyrdstone they come across, the only way that they can earn gold coins is by finding them( i.e. rolling doubles, triples, etc. ), or by selling items. The War of the Beard: No elf would ever admit that a dwarven item is of any quality, and thus, elves cannot purchase, or equip Gromril items of any sort. Any Gromril item found must be immediatly sold. Above The Masses: High Elves may never hire any special character of any sort. A Young Elven Mage starts with 0 Experience. All Other Heroes start with 20 Experience. Novice: The Young Elven Mage begins his career with two spells randomly generated from the Lesser Magic chart. Only after he has accumulated 20 experience may he begin rolling on the High Magic chart. The Way of the Magi: The Mage may never be armed with any weapon besides his staff, and will never use armor. Should he lose his staff due to any reason, he will fight only with his fists, regardless to any skills taken. A Healing Hand: When rolling for serious injuries, this ability allows the player to reroll one result on the serious injury table. Note that this ability may only be used on one model each game, and may be declared after the first result is rolled. The second result must be accepted, even if it is worse than the first. The Way of the Warrior: The Swordmaster may only use close combat weapons and may use type of armor besides gromril, he may never take any ranged weapons of any kind, regardless to any skills taken. The Way of the Beast: White lions may only use close combat weapons, and any type of armor besides gromril, or shields and bucklers of any type, regardless to any skills taken. Dual Takedown: If both the White Lion and War Lion are in combat with the same model, the war lion will gain +1 to Hit and +1 on it's injury roll. Paired for Life: Both the White Lion and War Lion must be purchased together. Smarter Than Your Average Bear: Despite being animals War Lions gain experience just like a regular hero. No Thumbs: A War Lion may never use any kind of weaponry, though may wear armor of any type, in addition, the white Lion may use no items besides lucky charms and garlic, regardless to any skills taken. The Way of the Hunter: Shadow Warriors will never use any kind of black powder weapon, in addition they may never wear heavy or gromril armor, nor may they carry a shield or buckler, regardless to any skills taken. 6. Vauls Unmaking: Cast on any model within 24". Choose 1 item the model is equipped with, that item will no longer function for the rest of the game. Difficulty 11. That is an interesting concept for a high elf war band, very different from anything else i have seen so far. From a fluff perspective they are certainly better "adapted" to Mordheim than the Shadow Warrior warband and have a clear focus, i like that part! The concept of a "closed" warband is interesting, but it is radically different. This warband will get weaker the more it is played unless you are really lucky and no modell dies - which is highly unlikely. My initial impression is that while all other warbands will get stronger over time this one will get weaker, which can lead to some very unbalanced games. I have no idea if this can work.This will have to be playtested very thoroughly. How much money/points do you get to create the warband? If you take all the choices you have created they add up to 590 for seven modells, if you take the standard 500 you have to decide between a second swordmaster or shadow warrior. Please clarify that. And the warband is missing a skill list and a weapon list to determine which weapons they can use and what skills they can choose from. You will need those during play if you get promoted or find some weapons. The gc available at the start is 500 points, the extra options are available so that not everyone will be playing the exact same warband, but basically the max size of the warband is 6 models due to the gc available at wb creation. Basically the concept for the wb borrowed heavily from the spyers of necromunda. The wb has a lower model count, and much more specialized models, and will start off better than normal warbands, then further into the campaign will be on more level playing field, and, if they choose not to complete their objective, they will be much weaker than a normal warband, just as the spyers were in necromunda. Good catch on the skill list being missing, I thought I hadn't remembered something, as for weapons, they start with what they have, and after the first game they may purchase anything they like from the trading chart in the main rule book, providing that it doesn't conflict with the models special rules (i.e. a shadow warrior may never have black powder weapons or heavy armor/ shield/ buckler), and providing that they have the money for it, of course. After looking over what you said, and thinking about how "The Proving Ground" could end after the first game 1/6th of the time should the mage ( the most vulnrable model in the warband) be taken out of action, I decided the add the "A Healing Hand", ability, which should help with the deterioration rate of the warband, without being overpowered either. I'd certainly split weapons and unit cost and don't make any weapon or armour compulsary. Have an alternative income, for example use the rules for selling wyrdstone, but say that they destroy yhe stones and that the money is a reward from Ulthuan for this. Personally I think some swordmaster etc are very cool (I played elves in WHFB myself years ago), and you have some nice stuff in there, but you're list will need a lot of tweaking/playtesting before being balanced..
Thats a very strict list right there. and be able to send reinforcements to their location? Although I'm generally waiting for an elf player to realize that covert ops doesnt involve chrome coneheads and tower shields. Fluffwise I can see plenty of reasons for their presence in mordheim. [quote="MonkeyShaman"]Thats a very strict list right there. Yup, and they'd arrive 1-2 years after everyone was dead. Boats from Ulthuan, to the Empire, and up the rivers to get to Mordheim, take a rather long time to get there. It's supposed to be rather restrictive. If you want a warband where you sell wyrdstone, recruit new members, have tons of weapons options, and are shooty, play Reiklanders. There's a reason that Specialist Games released a statement saying that elves in their current format are completely unacceptable, the jist of it being that elves have absolutly no originality to them what-so-ever besides being better reiklanders. Elves however, as an entirely militaristic race, have restrictions, and have standard equipment. It's not just the "army" that has theses standards, each and every elf is in the army. Therefore, a warband of elves with no restrictions that act just like a regular warband goes completely against the fluff of the entire warhammer world. 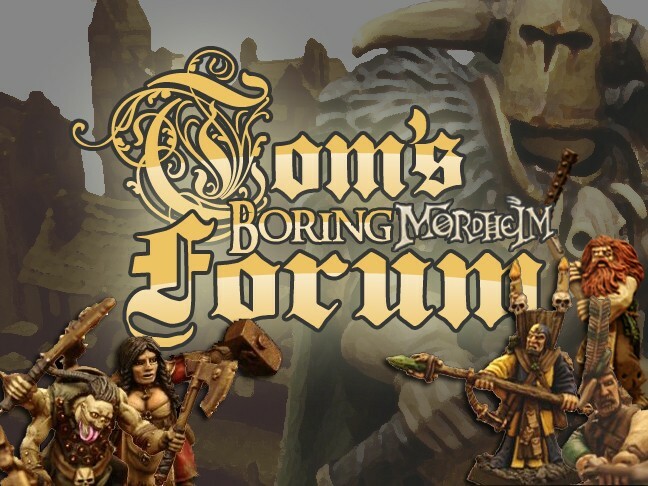 Have you tried playing this warband in a campaign? Curious how it would go. As much as I enjoy the fluff of the overall warhammer universe - for bathroom reading material - I definitely don't need a reason to plop down some elves into a ruined city full of chaos and corruption, and saying damn the fluff & any fluff blowhards out there. One of my best friends and fellow Mordheim players loves the Spyres, and wishes Mordheim was more like Necromunda in that respect. He would probably get a kick out of this warband! Well gang, this is my attempt to make elves actually make sense for being in Mordheim. Elves arnt going to make any true sense! but you can always come up with any random fluff for a reason to be there! Having your elves fixed at the start, may make your first game interesting, but your campaign will be rubbish! -no one starts with skills - you should earn that. these things build up character in your models! gettings old battle wonds, and skills cos of fluff in games! its what makes it fun - at least for me. I would just go with names, cut any extra they have at the start, and give them a few special skills they can learn for fluff! Sorry if this sounds all to harsh. i dont mean it to be, just im worried you could lost the spirit of mordhime! I really like the concept and 'feel' of this Warband! Perhaps you could change the rules for the Wyrdstone, even SoS band do collect income from Wyrdstone (If I remember correctly) and they supposedly just store the stones in their monastry. @ frog: I do admit that part of the Mordheim 'way of life' is the development of your warband. however I do like the 'military' feel of the pre-equiped elves. And there are othere examples of warband starting out with skills (CoN, big ones?). My gaming group has a (WHFB) High Elves player who probably will love it. (Let you know about the outcome if he picks up this list). I'm going to be playtesting the list this week. My group has, or we'll be able to simulate, every warband out there. I figure the maximum amount of games for this list to be somewhere between 20-30, which is about right for a proper campaign (although everyone normally keeps their favorite warband for a couple of years). I'll take some pictures and do battle reports. Let you know any problems I come across so we can figure out how to work out any of the kinks. I spied the spryer influence immediately... and i like it! The radical difference of the static warband (no income, no new weapons, no new recruits) is the heart of what makes spyrers unique. They were something to play when the regular gangs got boring. The same needs to be said for your High Elves. Don't cave in to the pressure and alter your original vision, i think it is fun and refreshing. You do need a special skill list, and maybe the option to arm them differently at start up. There is already a precidence for limited equipment options, see Pit Fighters. If that is how you want to keep things, go for it.